Ducks are thriving in North America, thanks in no small part to the wetland conservation group, Ducks Unlimited (ducks.org). DU was formed in the 1930’s, during the dark days of the economic depression. 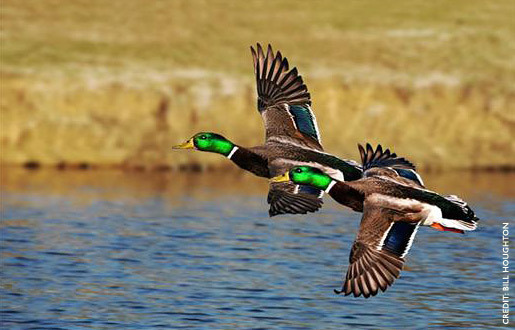 A drought was consuming the Midwestern United States and precious breeding ground in Canada was degraded, causing duck populations to plummet. While ducks probably wouldn’t have gone extinct, they were massively impacted and the outlook was bleak. 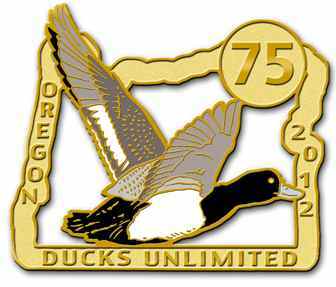 In this darkest hour, seven duck hunters pulled together and set the wheels in motion for the creation of Ducks Unlimited and a conservation effort that is still going strong 75 years later (timeline). In 2011, the duck population estimate in North America reached 45.6 million birds: the highest since official population estimates were first recorded by the US Fish and Wildlife Service in 1955. The population increase is amazing, but more than that, it’s a shining example of what can be accomplished when volunteers, donors, private enterprise, and government all work together toward common goals. The results of this partnership are tremendous. 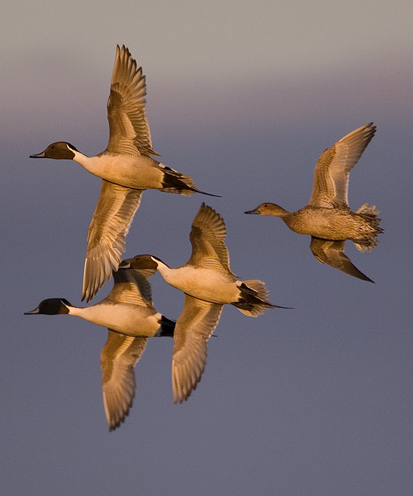 Over 12 million acres of waterfowl habitat have been conserved in North America and over 61 million additional acres influenced and improved. This didn’t happen by accident. It was the accumulation of millions of individual decisions to make a difference with whatever resources were available, be it land, water, money, or time. When you see ducks flying or feeding in a pond, you should feel proud that you helped make this possible. Even if you have never donated time or money to DU, part of your federal tax dollars have helped support the larger wetlands and waterfowl conservation programs. We all did this together. One of the things I really love about DU is the inclusiveness. Above, I mentioned DU influencing over 61 million acres. In practical terms, what that means is that if you’re a land owner and you want to improve your property for wetlands and waterfowl, DU will help you. That’s a big deal. There are many so called “conservation groups” that have a preservationist and “us vs. them” mentality. They pit hunters against non-hunters, democrats against republicans, city folk against country folk. That sort of attitude isn’t helpful. Right down at the local chapter level, I can tell you first-hand that DU is different. The volunteers are diverse and work with anyone who wants to help wetlands and waterfowl. Broad scale conservation requires public and private land owner support. Refuges have an important role to play in wildlife habitat conservation, but there are practical limits to the number of birds and other animals that can be fed on an acre of refuge land. To get beyond those limits, DU helps both public and private land owners improve habitat and food sources. That’s what “over 61 million acres influenced” means and that’s how we’ve achieved 45.6 million ducks in North America. When you pay federal taxes in the United States, you are already helping. THANK YOU! If you’d like to help more by contributing additional cash, DU will be good stewards of your money and invest it wisely. Local DU fundraising events need volunteers as well as donations of goods and services. Every little bit helps. For the past 75 years, people just like you and me have been making a difference with wetlands and waterfowl. The next time you see ducks, I hope you’ll feel proud of what we have accomplished together. That duck’s life is better because of you. THANK YOU! This entry was posted in Conservation, Duck Hunting, Hunting and tagged conservation, Duck Hunting, ducks, Ducks Unlimited, waterfowl, wetlands. Bookmark the permalink.